Email marketing is a versatile technique that must be embraced by orthopedic professionals. It’s a powerful automation tool that allows you to send commercial messages to any targeted individual or group. Email marketing can influence the behavior of those seeking care to consider your services or relay important information to existing patients. This popular marketing approach is easy to use and comes at an extremely low-cost. There is no one single way to conduct email marketing. This type of marketing is much more than writing up content and pressing send. The process takes rigorous planning and testing before the final product is ready to launch. Below will describe the different types of email marketing that can be utilized within your orthopedic practice. One of the most important aspects of any practice is making sure efforts are made to constantly educate patients. This will provide an opportunity for patient engagement outside of the office. You’ll be able to send health news, trends or seasonal advice that relate to your respective service. Informational newsletters are similar to their educational counterpart in the regard that they too aim to educate. These newsletters are geared more towards internal announcements and events going on within the practice. This is just another option to keep patients informed and up-to-date. This email marketing method is designed to promote new offers and services available in the practice. Coupons, discounts, services and new products are popular business elements to showcase. Email marketing is a lucrative tool that can branch off into many different uses. Below you will find some useful email marketing tips and uses that derive from the newsletter categories above. When a patient schedules an appointment, there’s always an existing chance that they may forget. This will help eliminate patient no-shows and allow you to efficiently plan your schedule for the maximum number of appointments. Reminders are easy to set up and can be automated to each individual patient. There are email marketing programs available which can send practitioner review requests to patients. If your practice is looking to increase positive reviews on public online profiles, this automation technology can easily assist with reaching that five-star status. Direct feedback from patients is equally as important as online credibility. The information revealed by these surveys will give you a good look at patient experience and satisfaction. This will help your practice understand what is working well and what needs improvement. Email marketing for your practice doesn’t come without some ethical guidelines. The following list will highlight the do’s and don’ts of your email marketing approach. Email marketing provides the distinction needed to make your practice stand out from the competition. 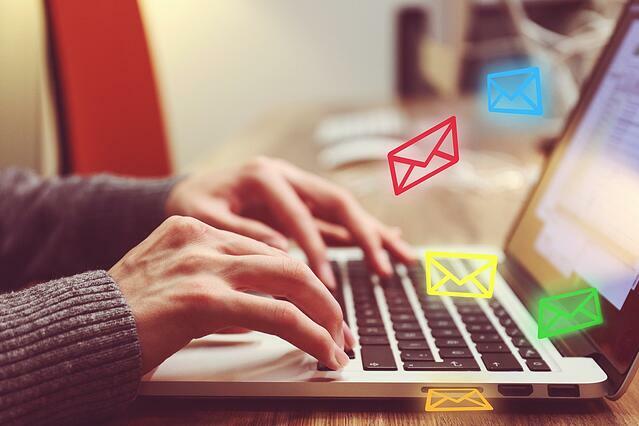 The benefits your practice can receive from the utilization of email marketing can effectively promote your services and keep your patients happy through direct engagement. If you’d like to further improve the lifeline of your business, contact HIS today for specialized revenue cycle management and consulting service. Our team is dedicated to providing top oversight assistance of your orthopedic practice so your business can flourish in years to come!